Commissioned by Bernard Arnault and designed by Frank Gehry, the Fondation Louis Vuitton is located in Paris, on the site of the Jardin d’Acclimatation in the Bois de Boulogne. The Fondation Louis Vuitton is principally associated with artistic and contemporary creation in all its forms. It opened to the public last October. 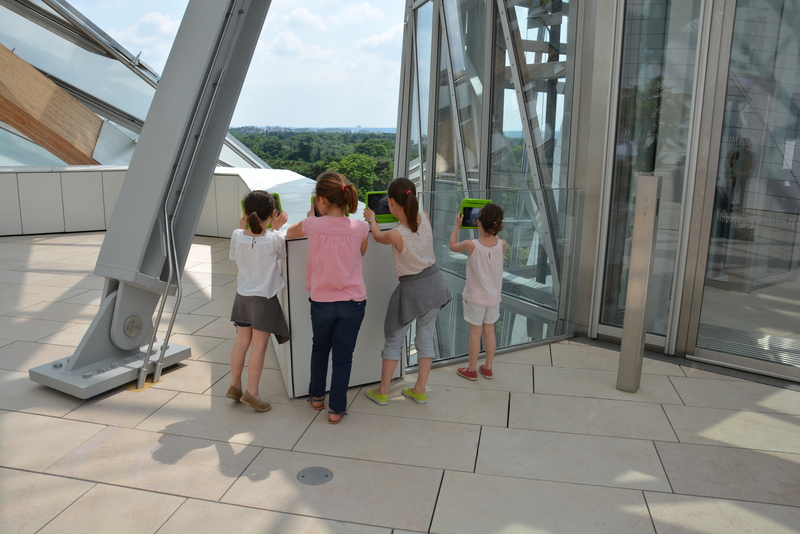 The Fondation Louis Vuitton wants children aged 6 to 12 visiting the new Frank Gehry-designed museum with their families and friends to “look up” at the building and become “apprentice architects”. 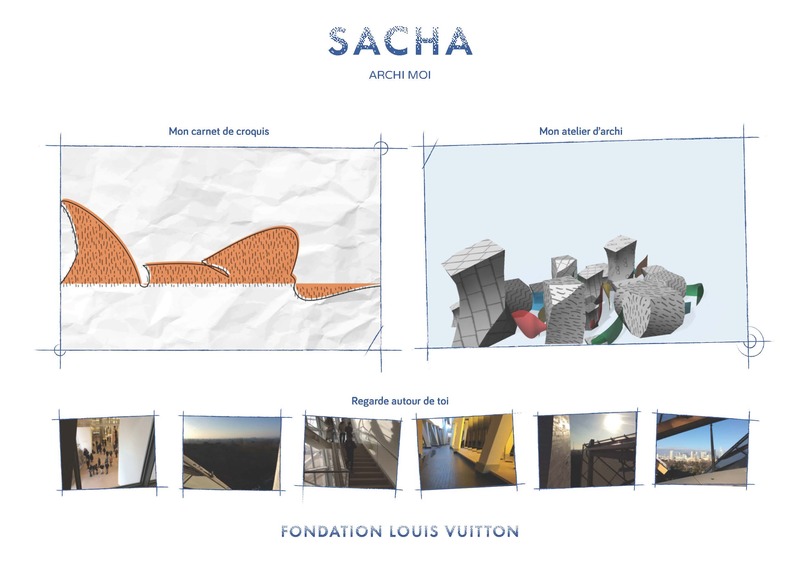 The app “ArchiMoi” is focused on architecture to let the parents and/or the guides introduce the artworks to the children. The brief was to design an app for the iPad Mini – visitors are able to borrow a device from our welcome desk on arrival at no cost. The app was launched with the opening of the museum and is also available free on the Apple AppStore in French and English. Use of the devices and the app in the museum has been very positive. to take you through the app. In an iterative process, designs and functions were tested in “real life” with a representative group of the target audience, including an afternoon of testing with 30 kids aged 6 to 13, whose comments and impressions were carefully observed and used to polish the app. Touchpress was selected because of its reputation for making “inspiring apps for curious minds – apps that change the way you see and understand the world.” Touchpress defines what is possible with mobile technology and their apps are recognised as amongst the most exciting and innovative in the world. We began with Touchpress by bringing them to the building under construction, and reviewing the process from inspiration to final design and build. The app presents the children with six activities – taken in order the user starts by finding inspiration from the world around them, learns about the construction process, and creates their own 3D building. The use of a game-like series of activities reflects children’s use of tablets in their everyday life but delivers learning about the architectural process and the building making active use of the device features such as the gyroscope and the camera. The six games are exploring six different pedagogical means to learn. Two games are very creative using 2D and 3D, one needs a lot a patience and concentration to achieve, another one is pure fun on construction, the two last require observation qualities. Statistics reveal that games are used is same proportions although we observe kids playing sometimes on 2 or 3 games only. With those 6 different games, we responded to the different capacities of children. We wanted to make the digital experience as much concrete as possible. The search of a “souvenir” to conclude the experience was part of the project from the beginning. When the child gives back the iPad to the welcome desk, a portfolio is printed by the staff that summarizes what the child achieved. It is a surprise for the child. At the back, a coloring picture is printed. The child extends the experience back home. The child has a clear outcome when they create their own 3D building and produce a certificate of their work. 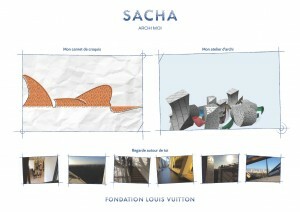 They have learned not just about the Fondation Louis Vuitton, they have also become apprentice architects. 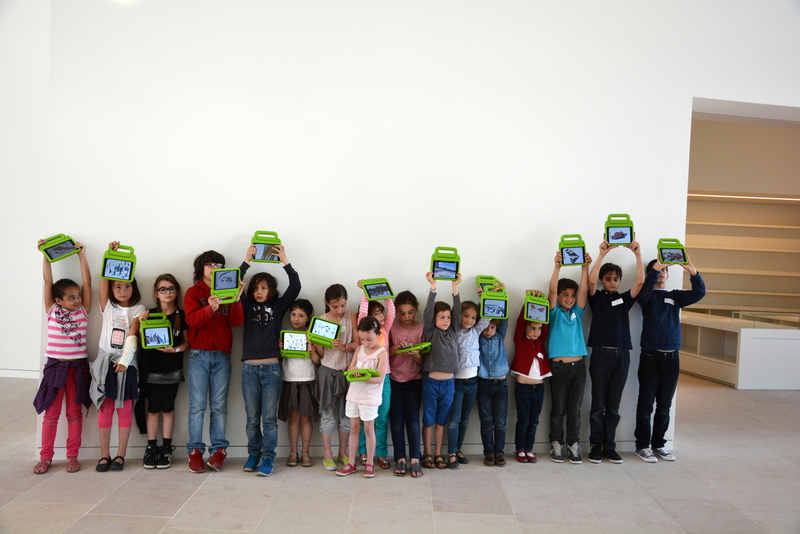 For teachers and students preparing a visit to the Fondation, the app also serves as a great way of exploring the building before they arrive, helping them to make the best of their visit.